The Local Government Authority (LGA) has revealed that certain parties who have leased Male’ City Hall from the local municipal council had failed to pay the required amounts of rent. A report compiled by the LGA, which was commissioned to probe difficulties faced by Male’ Cty Council (MCC) in fulfilling its mandate, showed that the decision to rent out city hall in order to generate revenue for the council had not been regulated. 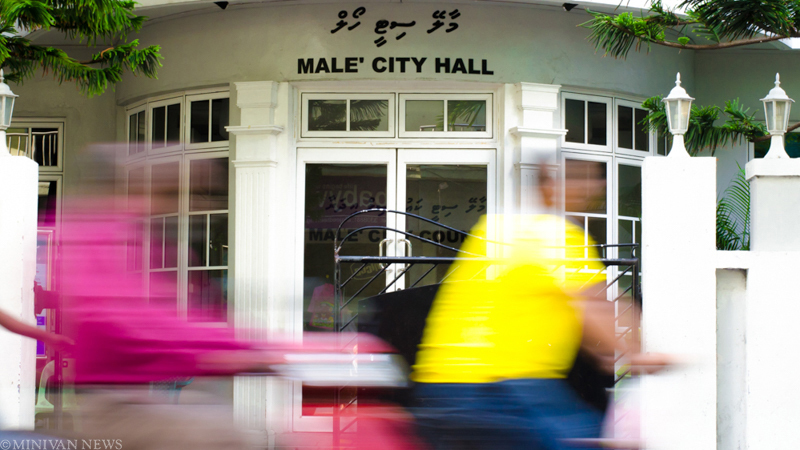 Under the agreement to rent out the city hall, MCC members had decided to charge MVR 1,500 per day as rent. LGA also alleged that the city hall’s availability for leasing had not been made public, which according to the authority violates the equality clause in Article 17 of the constitution. Local media reported that MCC had been advised to recover the funds and establish a system to document the transactions of the council. President Mohamed Nasheed opened the new Male’ City Council office or Male’ City Hall at Galolhu Billoorijehige (old national library site) yesterday. Speaking at the opening ceremony, the President noted that more than one-third of development projects were focused on Male’ as one-third of the country’s population was concentrated in the capital. President Nasheed suggested that the capital could be expanded to encompass the islands from Kaafu Atoll Kudafaru near Hulhumale’ to Giraavaru. Mayor ‘Maizan’ Ali Manik meanwhile said that the tasks of the council has been divided into eight areas and a councillor has been chosen to oversee each municipal service.